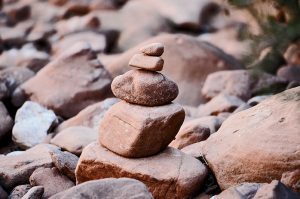 In my webinar How To Rock with MyRocks I briefly mentioned the column families feature in MyRocks, that allows a fine tuning for indexes and primary keys. Let’s review it in more detail. 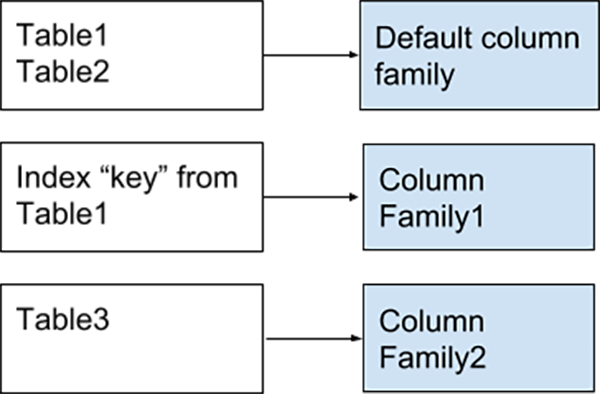 To recap, MyRocks is based on the RocksDB library, which stores all data in [key => value] pairs, so when it translates to MySQL, all Primary Keys (data) and secondary keys (indexes) are stored in [ key => value ] pairs, which by default are assigned to “default” Column Family. How do you assign tables and indexes to a column family? Be careful of defining too many column families: as I mentioned, each column family will use an individual memtable, which takes 64MB of memory by default. As a reminder MyRocks is available in Percona Server 5.7 and Percona Server 8.0, you can try it and share your experience!